It's deja vu all over again folks! 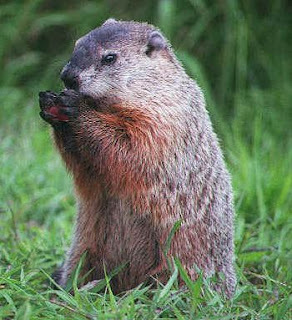 Once again, that fabled "weather forecaster" Punxsutawney Phil, or at least the latest groundhog to be called that in the 130+ year tradition of the day, has been observed. 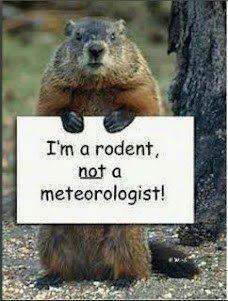 Unfortunately, the Pennsylvanian marmot did see his shadow (with all those cameras, is that a surprise? ), foreboding six more weeks of winter. Well, duh! The weather forecast's were proclaiming the same thing before today. 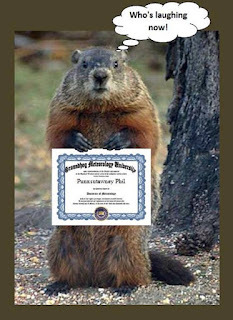 In any event, in the spirit of the holiday, we present our annual Groundhog's Day "Tribute".